For a lot of you, last year was your first summer of canning. If your initial foray was anything like mine (years ago now), you probably made a whole lot of jam. So much jam, in fact, that you are still swimming in it a year later. And now a new canning season is nearly upon us. What to do about all those still-full jars? Some of you might be feeling like you’ve got to toss all that jam. After all, the USDA says that it’s only good for a year, right? Happily, that is not the case. Jam doesn’t have some invisible expiration device built in that goes off once it’s been on the shelf for 12 months. That jar pictured above? It’s strawberry jam that I made in June of 2009. I ate it over waffles this last Sunday to delicious results. It is perfectly fine nearly two years after canning. Here’s what you should know. The act of canning doesn’t preserve food forever. But you can often get 18 months to two years out of your higher sugar products like jams and fruit canned in syrup. As long as the seal is good and the lid seems properly concave, your product should be just fine. My personal rule of thumb is that the more sugar a canned good has, the longer its life will be. That means that those low sugar fruit butters aren’t going to last as long as those candy-like jams. 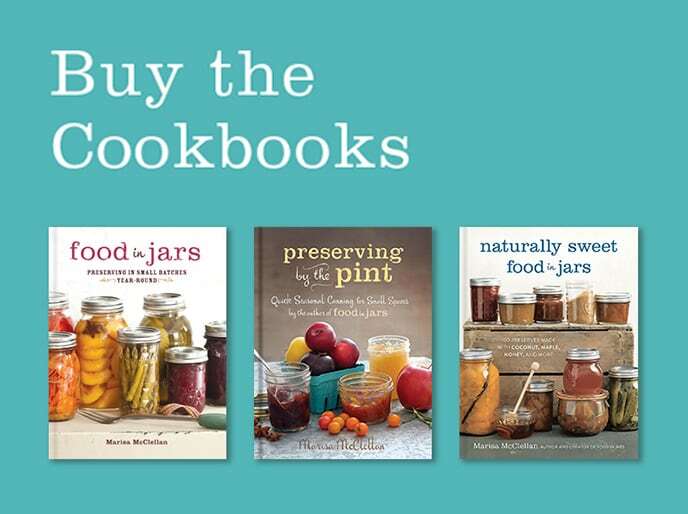 As you prepare for this canning season, it’s a good idea to take stock of what you still have left. If it’s obvious that you’re not going to be able to use up certain items in advance of the upcoming season, consider skipping that particular jam or preserve this year. Try a few new things and feel comfortable eating that 2010 strawberry jam well into 2012. You’re so exactly right–my husband and I were just having this very conversation: make less jam this year. It’s so satisfying to make, and easy to give, but not as practical as tomatoes (we’re out) or even dill pickles (also out). We just got a pressure canner–did you find that when you got yours, the focus shifted a little off jams and onto more savory things? I hope that happens for us. Good advice, I am eating some jam I canned in 2009 and it is just fine. I will finish it before canning season starts this year though and because I have some of the 2010 jam yet, I will try not to make too much jam this year (or I will give much of it away). What about other canned goods – like peach salsa? it has no sugar, but it does have vinegar, but then again it also has low acid peppers and herbs… how long should that last? That’s good advice. I’m always trying to convince my boyfriend that expiration dates are “throw-this away” dates. It just means you need to start doing a visual or sniff test before using this stuff. 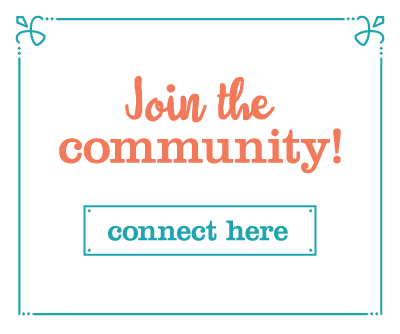 ugh, i love this blog. i discovered it about a month ago. im looking forward to my first raised bed garden this year and your blog has been so helpful in determining what i will do at the end of the season. little tips like this are what make this blog so special. Yay! Good info – and way good for me as I didn’t start canning until July and actually all of the early jam is long gone with Christmas and birthdays, but I do have some that will come of age towards the end of the year. Expiration dates in the stores are really sell by dates and product remains useable way beyond that time. If I have any fear at all, I feed it to my husband first (just kidding . . . well, maybe . . .)! And on a fun note — I’m in southern California and the local fruit stand just loaded up with local strawberries at a great price so I will be busy canning this weekend — I am so excited as strawberry season was long gone by the time I started canning! 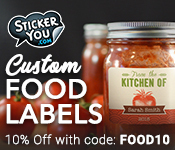 A great idea is to change the labels on your jam and give unsuspecting friends/family the old stuff. They won’t be able to tell the difference, and you’ll be able to make plenty of room in your larder for new fruits and flavors! I agree on the long shelf-life of jam and other home-canned fruits. I recently ate some spiced beets that I made 3-4 years ago. My rule is to open it, smell it, look at it, and if it seems OK, taste a bit of it. I’ve been canning for over 30 years and have never had any trouble with any food. P.S. I’m Sarah’s mom! I had the good fortune to inherit some jars of plum jam that were made in 1986 (27 years old). 27 years old?! Then I’m safe with the 5 year-ish elderberry syrup the neighbor gave me, I’m guessing? It’s a bit, umm, goopy but tasted okay. I’m wondering if it wouldn’t be better used in some other manifestation, but having trouble coming up with any ideas. It’s a BIG jar, and he also gave me a matching sized jar of choke cherry syrup. I recently threw out about a half cup of some canned, but opened, orange marmalade made in 2006. It had probably been opened for 5 years, in the fridge. No mold and tasted fine, I just needed the jar. That darkening you see is natural oxidation. It’s not dangerous, but it does occur on older preserves. I have fantastic plum jam that was canned in 2009.It has excellent fruity flavor Metaxa brandy was added as preservative with generous amount of cloves.Today 2016 I make my own sandwiches with arrowroot cookies and plum jam.Yummy.No refrigeration. I have perfect hearthbeat rhythm over 65 years body. And here to think I was a tad bit worried about eating some fruit preserves my grandpa had canned as recently as 2011 & as far back as 2008! You are brave! Thanks for sharing. You need to use your judgment. Your marmalade is probably still safe, but it may not taste as good as it did when it first went into the jars. We just purchased a home from an elderly recently widower. We have a cellar/pantry in the garage that the temp doesn’t change, stays at 40 degrees regardless of summer or winter weather. My question is that in that cellar/pantry there are many home canned foods that have the date of 1998. Is it safe to eat? How can I tell if it’s safe? It has the seal on them not the ring tho. The fact that they don’t have the rings on them is actually a good sign. However, even if they’re safe to eat, they probably won’t taste very good. When you can, you preserve food for a time, but not for all time. Food that is nearly 20 years old won’t have much in the way of texture or flavor. This is good to know! My mum has jam in the back of her fridge that pre-dates stainless steel. I wouldn’t eat that because it probably demands rights at this point, but I will no longer fear the 2009 jam when I’m there next. I love making jam every year! 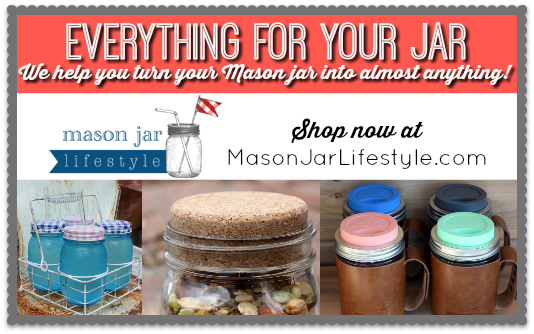 I love it so much I make extra to can in the small jars to give away as gifts for the holidays….Everyone loves it and I’ve never gotten a complaint! To me canning jam is a gift, even to me! I don’t want to misquote anyone from the Food Network, but if I remember correctly, Alton Brown said once that jams, jellies and preserves have an almost indefinite shelf life. I have used stuff that I canned 3-4 years ago and have never had a problem. I also do the sniff and small taste test before serving. Sandra, that’s true in that the high sugar preserves rarely go bad. However, they do start to degrade in quality after a couple of years on the shelf. The color will start to fade, the texture can get a little funky and eventually, jams and jellies particularly, will start to separate a little bit. That doesn’t make the unsafe to eat, just slightly less appealing. My mom and I make a lot of low sugar jams and jellies. My mom always says that storing them in the fridge will make them last longer – even before they are opened. Do you think that’s true and is it a good idea to store unopened jams in the fridge? 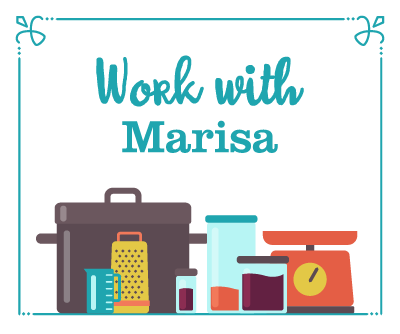 Marisa – when I did some research for my won purpose and canning classes, I found that the seal – when the jar is properly sealed and kept in optimum storage conditions – should last for 5 years. I am not recommending anyone waits 5 years to eat their canned good, far from it! But this confirms that properly processed and stored canned food should last a bit longer than one year. I had a banner year for jam too last year, trying some unusual flavors including blackberry/elderberry, cape ground cherry, and chestnuts. Sure jams are good on toast, but they are also wonderful in jam tarts (tarte a la confiture for the francophones or crostata for the Italians) or as a principal ingredient in jam ice-cream. And let me tell you how much of a bonanza that is in winter, to be able to go to your pantry to make a quick yummy dessert! I was taught. After 24 hours of canning, you label the jars, remove the rings, them move them to your pantry, freezer, or fridge. If you do not remove and store the canned goods without the rings, if it didn’t seal properly even though it seemed lounge it did, it will install and seal the whole time its in the pantry, all the whole going bad. This happened to me once. I would not trust it, just throw it out. Great tips! I’m one of those that is always worried about expiration dates, even though I know you can usually go past them… This will hopefully help me not throw away stuff just because it’s been a year! 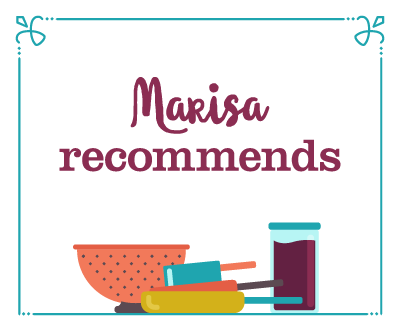 Marisa, do you (or any readers here) have any suggestions for mango jam? I can get them right now for $5/case and would love to put some up. But the commercial mango jams I’ve tried have been awful, and I’m scared that it’s difficult to do. Ideas? I just found this site and it is probably a little to late to use up those mangos, but I just made a mango jam a couple of weeks ago and they came out amazingly well. 2lbs cut up mangos, 1 1/2 cup sugar, 3/4 cup water. I cut my mangos into small chunks put everything into the pot and brought to a boil. Then let boil to thicken and turn off heat and spoon into jars. Then process them in the boiling water for 15min. I am the only one in my house that likes mangos and I am so happy that I get all of the jars of the mango jam. Good luck! I make a lot of jams & jellies but, I give enough away during the year that I don’t usually have any expiration date issues. I do date everything so the giftee will know to use it up by that time. Mine never looks that good but it’s a great way to use up an entire jar of jam at a time. Or usually, I open a jar, use it on toast or bread for a week or so, and then make a jam tart so that I can move on to a different flavour without worrying I’ll have so many jars open I’ll forget which ones need to be used up soon. I’ve also found it good for using up some didn’t quite work out well jams that perhaps hadn’t set very well or the infamous plum jam from 2009 that was just too, too sweet. oh my gosh, folks… the usda, universities, co ext services n all the rest r funded by big business, n of course they want 2 scare y’all away from home canning n storing food long-term! there is NO SUCH THING as expiration dates! it was made up, because 2 many people were self-sufficient n didn’t buy enough, often enough. so now they have y’all believing u can only make small batches in cute canning-only jars n only use regulation recipes, n throw it all away, quick, u might die!! hogwash! anything the ptb’s can can, u CAN 2, lol. if u ever worked at a cannery, u wouldn’t ever worry about ur own home canned stuff ever again, cuz u’d never buy commercial stuff ever again! i’ve still got stuff over 30 yrs old that we still eat, because if my made-up recipe was especially good, i had 2 hide some from the munsters 2 have any left, lol. its still as good as the day it was put up! keep ’em cool-dry-dark, no probs. IF U LIVE IN HUMID AREAS, u WILL have probs keeping the lids from rusting, long-term. how many of u have used the ‘new-old’ TATTLER reusable plastic/rubber canning lids? i WILL say, if ur newbies, u should follow recipes until u’ve got some experience, like good cooks do n have. if u aren’t a good cook, don’t deviate until u r, lol. canning is a great way 2 feed ur family, especially now in these economic hardtimes. AND y’all know whats in it! blessings 2 y’all. As long as the seal is good, we’ll eat it! Not that it lasts longer than 2-3 years here, even with the quantities that I make. I tend towards making larger quantites of summer canning (accessibility to the fruit/veg) than the winter stuff, like broths, stocks & dried to canned beans, which tends towards more or year round availiblity. We are big fans of pancakes in our house, and make them several times a month. So to keep the meal interesting, I throw a few spoonfuls of homemade jams and jellies into the syrup before I heat it up. Then you’ve got delicious flavored syrups with hardly any effort. And it’s a great way to use up the stuff you don’t otherwise eat. We love pancakes, french toast, and waffles with jam instead of syrup– and it’s a great way to use the batches of jam that didn’t set very firm! Also use up quantities of homemade jams (especially too sweet jams) to flavor plain or vanilla yogurt … expands flavor options everyone can pick their own unique flavor. I have my home canned goods on a five year rotation. I also keep jars in the dark – light seems to degrade the quality of the canned goods. I’m comfortable with my schedule because I grew up eating home canning – literally everthing from soup to meatballs – but if you aren’t comfortable, two or three years seems to be a rational rotation. The seal is the deal; if you don’t get that satifying sucking sound when you lift the seal, don’t eat it, throw it on the compost heap. I remember when I was a young’n, my momma and pappa had a huge garden, well, huge to a 5-10 yr old kid. They grew all sorts of vegetables. I remember snappin’ green beans eand huskin’ corn every year. I also remeber they canned (jarred) up alot of that and stored it in the basement (which I was terrified of because it was unfinished and gave me the willies). Anyways, my mom and dad loved to cook vegetable soups, homemade pasta souces, and other foods that used alot of vegetables. They would always send me down to get a big jar of this, a small jar of that, a medium size jar of these and thats. I remember looking at the lids and seeing that the dates were always +5 years old ( I think they did a good job of rotating stock). This date range was for all sorts of veggies and fruits. I always thought to myself, back when I was a kid, how old can this stuff get before its bad? But of the 1000’s of jars they made over the years, I cannot remember 1 being bad, either in taste or of contamination. They never did meat, so I can’t speak of that, but as for the veggies and fruit, I’m guessing that stuff must store indefinitley. My family just opened a jar of raspberry jam from 1992 and it was quite tasty. We made a huge batch of raspberry jam that year and it took us this long to finally get to the last jar. In my family, if the seal is good then open it and see. I would like to get the real deal concerning using lids more than one.. I just starting canning and used my sealing lids twice… but someone told me they should only be used once; however, the seal held just fine… I did some research and see this question is divided into two camps. Growing up in South America, my mom and grandma used lids brought from the US over and over again for many years. There is absolutely nothing wrong with reusing a lid as long as it isn’t rusting on the inside. Of course if it has been bent right on the part that seals down to the jar, it won’t seal… that’s the worst that can happen. Also, if you’ve used it for something with a strong flavor, I’ve noticed that the smell really stays in the lid, so just give things a sniff test before using the old kim chee lid on the strawberry jam! The lids they’re making today are thinner and don’t have as much sealing compound. So while the ones you used to use may have worked for reuse, the ones available today aren’t going to hold up like that. Sugar is a preservative, so products made without it don’t last as long as those that contain sugar. Would it be ok to eat 3 year old preserves? As long as the seals are good, the preserves have maintained their color and smell okay, they’re probably perfectly safe. I made some james just a few weeks ago. The strawberry is very dark about 1 / 4 of the way down from the top. The peach is dark about 1 /8 of an inch from the top. Seals are all good. I have over 40 jars of these jams. I made then for a fundraiser and now I can’t use them. Why would they turn dark? I made them exactly as the Sure Jell directions. Thank you. Maureen, it sounds like they oxidized a little. There is nothing wrong with them, the discoloration is cosmetic, not a safety hazard. This happens when you leave too much headspace, leave them exposed to sunlight or didn’t drive quite all the air out during processing. Not enough liquid over the top of the fruit! Does that really mean I need to throw away the Blackberry Jam I just found from 1998??….. darn!!! I hate best before dates, and challenge them regularly. I’m trying to use up some of my mother’s old jarred fruits right now. Several are clearly no good, but I found a big jar full of strawberries from… 1994! They smelled a *little* different, but the juice they are in tastes not too bad, and I even nibbled on one of the old, firm, yet mushy, mummified strawberries. There was some sediment at the bottom, but the seal was unbroken. I have some really old peaches which have a similar, slightly strange smell to them (probably 6-7 years old) though I made homemade peach wine with this juice last year and it seemed fine and I am still alive. I’m hoping this fruit is just a little gross but not dangerous, but I am really not too worried. I blended up some of these old strawberries and peaches and am dehydrating them into fruit leather at this very moment. I’m more concerned about taste than any real safely hazards. If they aren’t good for me I will know soon enough though, right? lol. I’ll let you guys know in a day or two! The fruit leather didn’t taste terrible, but I just can’t get past knowing how gross the fruit looked and the funny smell lol Can’t win ’em all. I guess I’ll focus my efforts on making sure food doesn’t have a chance to get that old in the first place. My grandmother and I have been eating her canned jams made in 1989. We just finished 1994 and opened up another 1989, pineapple & apricot. At first I thought she lost all her marbles when I first saw the dates on her cans but she told me as long as there is sugar or salt in preservation, it lasts forever! Well, obviously because she is 3 months shy of her 99th birthday and still lives on her own. I made some raspberry preserves in the fall (2013), and didn’t use as much sugar as in previous years. Only made a few jars and stored them in the fridge. I’m noticing a distinct vinegary taste and wonder if they are OK to eat. Could I recook them with more sugar? I’d hate to throw them out. Any help would be appreciated. Thanks! It sounds like they’ve started to ferment. While they’re not unsafe, recooking them with more sugar won’t eliminate that sour flavor entirely. However, if you want to give it a shot, it won’t do any harm. Thanks so much for your help– I was worried about getting sick. Really appreciate it and love this site. Will be returning often! Hi…I’ve been searching online for an answer to the longevity question about canned jam since my step-dad insists on using the 20 year old or possibly older jams they had sold in their garden centre. The centre was sold and they brought home the jams. They are quite dark now, I think they were mostly strawberry, and the jars were sealed properly, but I can’t bring myself to ever eat any of it and I worry if they are safe. Should I be worried? I can’t seem to convince him not to eat the stuff. I wouldn’t eat it. While it’s probably not actively dangerous (botulism can’t grow in high acid environments, of which jam is one), all it is at this point is colored sugar water. Any fruit flavor is probably long gone and the texture is probably horrible. I’ve been eating on some blackberry jelly that my grandpa put up back in 1984. Unbelievably delicious. My husband cooked nectarines to make jam 5 days ago. Is it safe to can it 5 days later? Yes. You need to reheat the jam before canning, though. I am cleaning out my dad’s cupboard and found two jar’s of homemade grape jam from 2011. That was five years ago, is it safe to consume? As long as the seals are good and the products looks and smells much the way grape jelly should, it will be fine. I’ve read your posts about how subbing honey for sugar in jams will reduce the shelf life. Can you give a general idea of how long a honey-sweetened jam will keep? How about an unopened jar of Saucy Susan peach/apricot marinade/dip? Just found it in the back of the cupboard dated Oct.15, 2012. Never opened. No color change that I can see. I use it to make Teriyaki chicken. Think it’s safe? It does have corn syrup, sugar, and vinegar in it. If so, I use it asap. Any info appreciated. Thanks. If the seal is good and the color hasn’t changed, it should be fine. 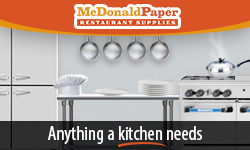 When you open it, check for signs of mold or deterioration. If it looks fine and smells fine, it is fine. Glad I found this page. I opened some strawberry jam that has been in the freezer about 22 months and found a small amount of white, waxy material along the inside of the jar, just above the jam itself. The jam was made with a very small amount of sugar (recipe called for 4 cups but only 1/2 cup was used) and pectin. I have found this in the last two jars I have opened and while the jam looks and tastes fine, I’m hesitant to eat it because I’m not sure what it could be. Anyone have any ideas? Paraffin is no longer an accepted way to seal jars. I do not recommend it. Can tomato jam be stored in pantry’s (like other jams & jellies)? The recipes I’m finding are saying to refrigerate when done… we don’t have that type of space & I don’t want it to waste it(or give All of it away). I have Red Raspberry Jam I made on Saturday of Labor Day weekend in 2016. I store the jars in my closet with a door which is dark and dry and was cool. My apartment has been hot. Could that be a problem for those jars that are still in there ? Hi, I have several jars of apricot jam which are a year old. I’ve noticed the top of the jam is a dark brown color whereas the rest of the jam in the jar is orange. Is it still good to eat?! Why is it darker at the top? Your jam oxidized. It often happens with light colored preserves. Just scrape off the discoloration and use what’s below. Canned figs to make fig jam–used a lot of sugar–1 lbs figs to 1 cup sugar…Jars and lids were hot water sterilized and then filled and then put back in canning pot for 20 minutes to get hot again. Took jars out and heard all of them pop to seal–checked all the jars and they all sealed. 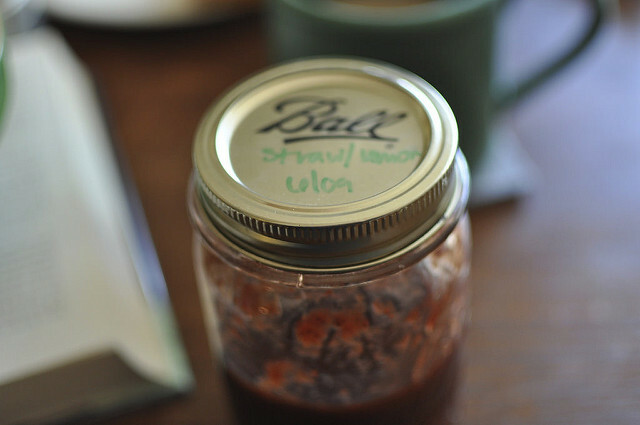 The fig jam is very sweet–I didn’t use lemon juice or citric acid. How long can I count on these to keep safely? Currently all kept at room temperature in an air conditioned house (Florida). I would like to start giving some jars as gifts. Figs need either lemon juice or citric acid in order to be safe. Otherwise, they’re too low in acid to be safely canned. I wouldn’t consider your fig jam safe for gifting since there was no added acid. I just opened a jar of raspberry jam from a farmers market. We ate some before I noticed that the jam was a much lighter color two inches down, then I saw a tiny black streak on the underside of the lid. No fuzz, white, or anything. Just dark jam and a black streak. Do you think this was mold? They use honey, lemon, and pectin in the process. I think it’s fine. Some slight discoloration is totally normal (particularly with honey) and if the lid had any scratches, that could account for the dark streak. I wouldn’t worry about the safety of that jam! Hi! I was wondering if you know how long jams made with honey instead of sugar would last? I can’t eat refined sugar, but honey as a sweetener is acceptable on the diet that I am on, and I was planning on canning jams made as such. Preserves made with honey and other less refined sweeteners will keep up to a year while sealed in the jar (though they can have some color loss). However, once open, they only keep a few weeks in the fridge before succumbing to mold. I just yesterday opened a jar of jam made from peaches. It seemed ok, but I noticed today that it was made in 2013. I am not feeling well today and am wondering if the two are related. As long as the seal was still good, the color hadn’t changed radically, and the peaches smelled normal, the food was probably fine. I don’t imagine that your unwell feelings are related to the peaches. I just open a jar of jam that was made in 2012 and it was very good. It has been in the frig all this time. Time will tell if it was no good. If I don’t get sick then it was good.? My question is once you do open jam how long will it keep in the fridge? In the fridge it will last a long time. As long as there is no mold growing I wouldn’t worry about it. I’m thinking of canning my elderberry immune building syrup to give it at least a year in shelf. I use dried wildcrafted elderberries,raw honey,bee pollen,organic orange,cinnamon sticks,star anise,cloves,ginger,turmeric,peppercorn,unsealed and rasehips. Should I add citric acid or fresh lemon or lime before I process it and strain it? Also I have canned tomatoes and other vegetables. I have a cod pack canner and a have a pressure cooker which do you think is the best for my super charged elderberry syrup? I think I have the longest record on “old” jelly. My mother made chokecherry jelly back in 1994. The lid was still concave, has not bulged out at all. The seal was so good that I had to run hot water over the lid, tapped gently around the edge of the lid with a butter knife handle, and used my jar opener grips to be able to open the jar. I stared at it for a couple of minutes, smelled the opening —- smelled good, dipped a spoon into the jelly and tasted it. It tasted exactly as I remembered it from last “century”. I waited a day to see if I had any reaction to the jelly. None whatsover, so have been having it with my toast every morning. So that is the story of a jar of 24 year old chokecherry jelly. It is probably safe, though it won’t be as delicious as it was when it originally went into the jars. I just opened a perfectly sealed jar of beach plum jam we made 6 years ago and it’s fine. I hate wasting food. Hi Everyone. I like to make elderberry jam. The problem is, that many of the places are being sprayed lately, and I have no new source of berries, until my own patch is more mature. In the meantime, I have 5 quart jars of elderberry juice that I make in 2016. I am planning on making jam with some of it. Do you think that this will be okay? I used lemon juice to help preserve it. I haven’t opened any yet until I’m ready to make the jam. I made habanaro Jam 2 years ago. It did not set. The seals are still good. Is it safe to try to reset this Jam. I wouldn’t try to remake this jam. The flavor profiles will have declined while in storage, so it’s not really work putting a lot of energy into it at this point. I have chokecherry juice that I canned in 2013 wil it still be okay to use this syrup to make jelly. They are still sealed and smell fine? That’s pretty old. It’s probably safe, but I bet the flavor won’t be great at this point.